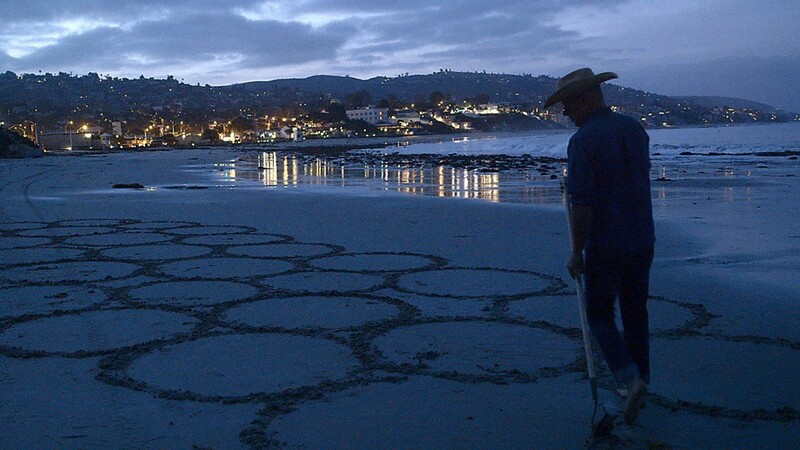 Jim Denevan's monumental sand art has transformed beaches around the world into beautiful context-driven landscapes, incorporating geometry, pattern and the natural environment in a temporal celebration of place, process and form. 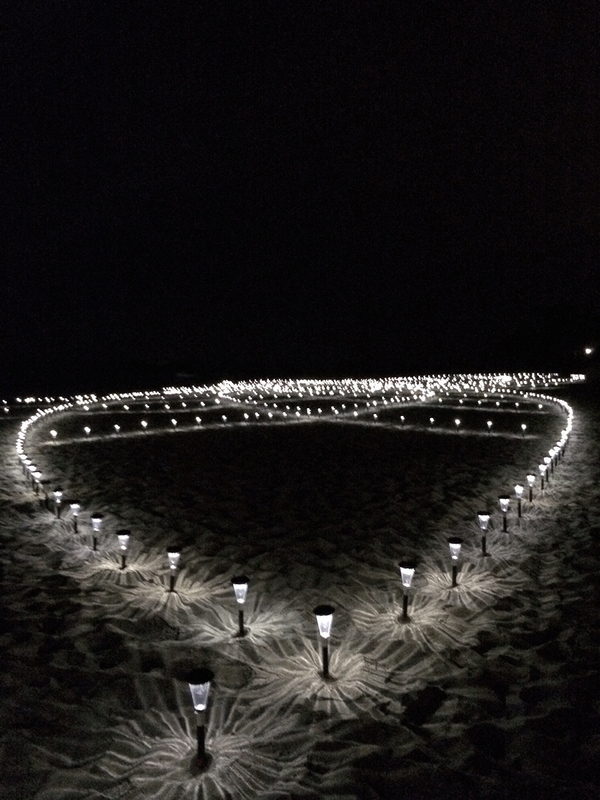 This past weekend, a beautiful installation in Laguna Beach added the dimension of light, with the massive sand patterns lit by the glow of hundreds of solar lanterns stretching from the bluffs to the water. 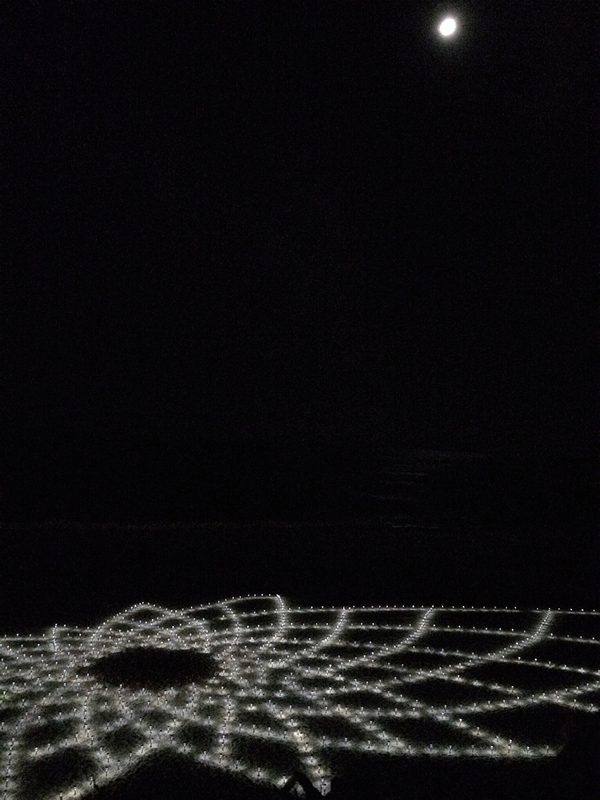 When viewed from above, the illuminated sand drawings seem to float in space, anchored by the city lights beyond, the sound of the ocean below and faint reflection of the moonlight in the water beyond. 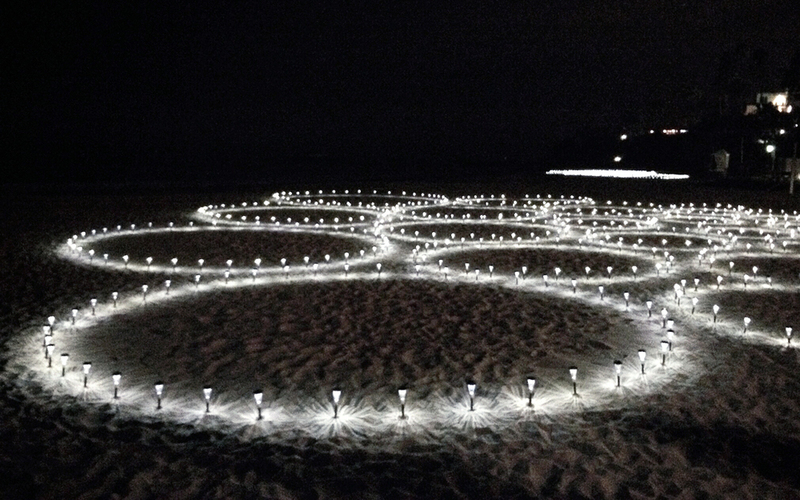 Commissioned for Laguna Art Museum's Art & Nature initiative, the temporary installation was open to the public for the weekend and the evening of November 9th, 2013. 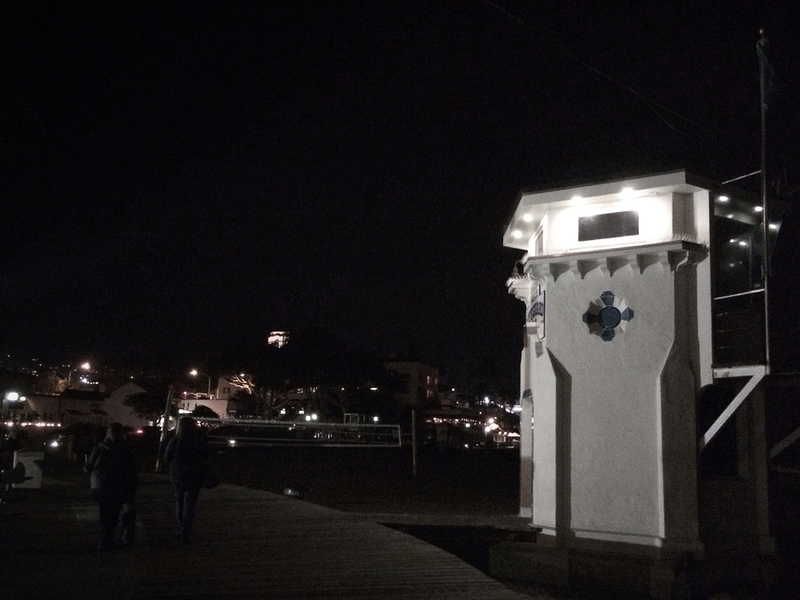 Accordingly, the site-specific work reflects the goals and values of the three-day event, centered around exploring the connections between environment, art, science and community. Find more information on the festival and symposium at the Art Museum's website, and to learn more about Denevan's work and process, read a previous post on the land artist, surfer and founder of Outstanding in the Field. Learn more online, and keep an eye out for Outstanding in the Field: The Movie, a documentary on the 'roving culinary adventure' of community-based farm dinners.